From hosting students from a flooded elementary school to feeding hungry victims of storm-ravaged areas, personally ministering to storm victims and cleaning up the debris left behind by those storms which generated tornadoes in Bridge Creek, Oklahoma City and Norman, Oklahoma Southern Baptists have been busy since May 6. Del City, First Southern opened up its entire second floor of education space to host 550 students from Tinker Elementary School in the Mid-Del School District after the school’s building was flooded. 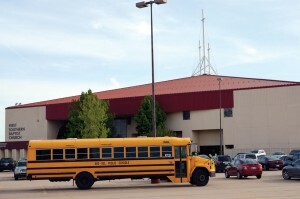 The students made the shift to the church on Mon., May 11 and were to finish out the school year there the following week, said First Southern’s Administrator, Dave Martin. 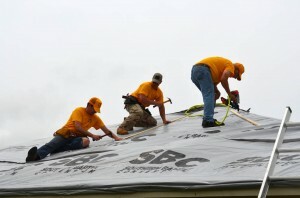 Meanwhile, Baptist General Convention of Oklahoma (BGCO) disaster relief volunteers continued to provide debris clean-up assistance to homeowners affected by the storms as the number of job requests climbed above 200. DR feeding crews operating out of a kitchen set up at Newcastle, First had prepared more than 12,000 hot meals as well. The BGCO’s mobile command center was set up at Tuttle, Snow Hill under the direction of Incident Commander Wes Johnson of Chandler. According to BGCO disaster relief officials, Oklahoma DR volunteers had prepared 12,350 hot meals which had been served to volunteers and those affected by the storms as of May 13. Chaplains had also been busy putting a personal touch on the ministry effort, and as of May 13, had recorded more than 520 ministry contacts, distributed 17 Bibles and made eight Gospel presentations as they accompanied the teams as they worked. 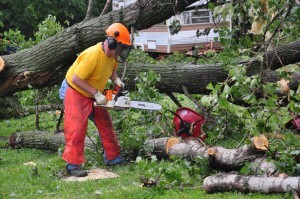 Also as of May 13, volunteers had completed 98 chain saw jobs (cutting down and removing downed trees/limbs) and mud out jobs (cleaned out mud and ruined possessions from inside flooded homes), with another 104 job requests remaining on the waiting list. Volunteers in all areas had logged a total of 427 days on work sites. With more job requests coming in, Karr called North American Mission Board officials and asked them to provide assistance from neighboring states, who quickly responded. 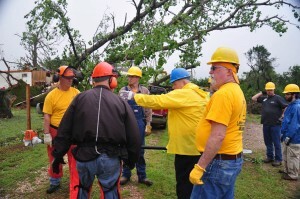 The Arkansas Baptist State Convention dispatched two teams of trained debris removal volunteers to Bridge Creek—the hardest hit area—on May 13, and the Missouri and Louisiana Baptist conventions quickly followed, sending trained DR units of their own. In addition, the BGCO issued a call for untrained volunteers to assist with the clean-up efforts May 15-16. 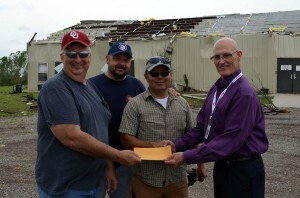 On May 7, the BGCO presented a check in the amount of $5,000 out of its Disaster Relief fund to the congregation of Ridgecrest Church, which is located just south of Bridge Creek. The church’s facilities were severely damaged by the tornado which hit that community around 5 p.m., May 6. The National Weather Service has since rated the Bridge Creek twister and another which hit Southwest Oklahoma City as EF-2. A third tornado which hit the Norman area was rated EF-1. Ridgecrest also was virtually destroyed during a May 3, 1999 EF-5 tornado. For more information about the BGCO disaster relief operation or to make a tax-deductible donation, visit www.okdisasterhelp.org. 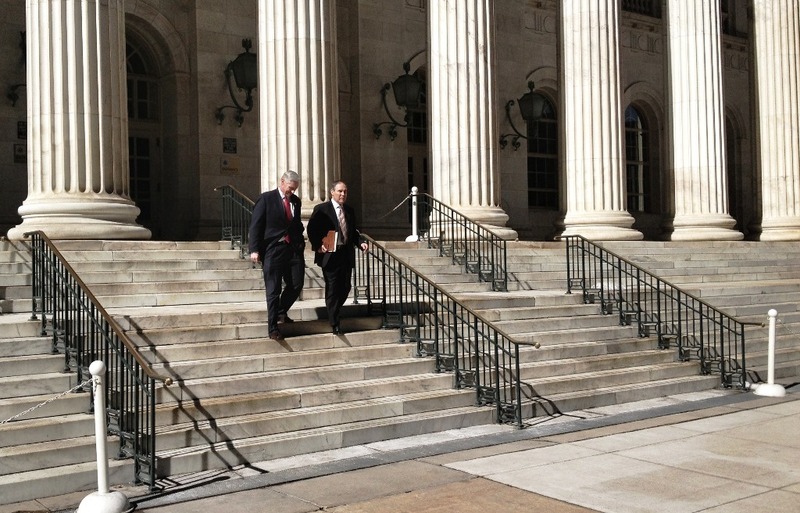 Q&A: Is religious liberty in danger?